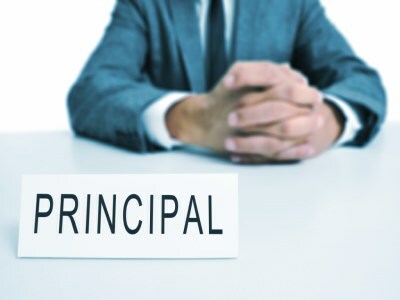 The Australian Principal Health and Well-being Survey reports have shown that principals are facing increasing levels of violence, stress and burnout. The annual reports have recommended greater support from education departments to recognise and address the psychological and physical burden that large amounts of administrative work can have on school heads. While some education departments, namely NSW and South Australia, have been proactive in addressing these issues, others have been criticized for “ignoring or overlooking” key findings of the national well-being surveys. Lead researcher of the Australian Principal Health and Well-being Survey, Professor Phil Riley, says the Victorian Education Department’s latest principal well-being initiative is short of the mark when it comes to tackling the big issues. “I would have liked to see a greater emphasis on the Department looking at its own processes, which principals almost universally say is a significantly stressful part of their job,” Riley told The Educator. Recognising this, the Australian Institute for Teaching and School Leadership (AITSL) has released new professional development resources for principals. The School Leadership Development Resources will provide school leaders with strategies and tools to help them deal with a range of common challenges, such as managing their time successfully or establishing a learning culture. The resources also draw on real-life experiences that have been developed though collaboration with current school leaders and principals and respond to the growing awareness that aspiring and new principals need better guidance and support. “Principals often report higher rates of job satisfaction than the general population and are broadly positive about the rewards of their work. This is usually attributed to the positive impact they can have on students and families,” AITSL CEO, Lisa Rodgers said. Leadership Scenarios provide new principals with strategies and tools to help them deal with a range of common challenges, such as managing their time successfully or establishing a learning culture. Inspiring principals discuss their journeys to becoming a principal and offer their advice about preparing for school leadership in video profiles. Rodgers said AITSL’s new package offers extra support both to teachers who are targeting a move into a school leader position, as well as for aspiring and new principals to help them prepare for the responsibilities and demands of principalship that come with the position.